There is immense power in the cloud. It’s a cutesy colloquialism, one that calls to mind spring afternoons or fantastical floating fiefdoms, but it is also one of the great modern misnomers. All data stored in the cloud is really housed in some else’s computer. That’s one reason the Pentagon has been so reluctant to take advantage of the benefits of the cloud. The trade-offs in storing information outside the facilities it’s directly used in is likely fine for most casual or business cases, but it gets a little scary when it comes to the raw data of national security. Which is why the Pentagon is looking to entrust its data to a dedicated, defended cloud, contracted under the unsubtle term Joint Enterprise Defense Infrastructure, or JEDI. 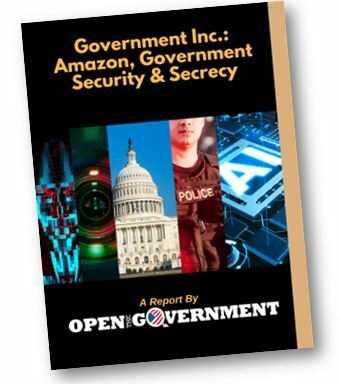 On March 13, nonpartisan coalition Open the Government released a report on Amazon and government secrecy, calling into question the contract and the process by which it will be awarded.